Coming Soon To An Inbox Near You. For anyone considering tattoo removal in Sydney, we’ve put together a brand new email newsletter for you. If you’re one of our lovely clients or have enquired about our service online, you should receive our first ever Extinkt Newsletter very shortly. We’re compiling our list and it will soon be ready to go. If for some reason we’ve missed you we do apologise, you can also subscribe by following this link. We promise this is only an occasional email, we won’t spam your inbox too much! Subscribers will receive great information about our process, specials, tips, recent results and updates or changes to our service. If you’d prefer not to receive it, you can also unsubscribe by following the link at the bottom of the email. If you’re still thinking about it, don’t forget we provide a test patch with our free consultation. Feel free to get in touch to arrange a chat and we can answer any questions you might have. Remember if one of the times suits, you can book your appointment through our new online booking system. If not you can also call or fill out our online contact form. We’ll be in touch shortly, so keep an eye on your inbox. The first one should be with you in the next few days. 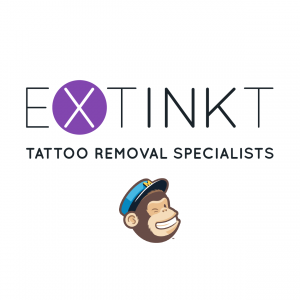 Extinkt Tattoo Removal Campbelltown aim to deliver a service of the highest standard, maintaining our status as a premier provider of laser tattoo removal in Sydney.